Opened in 1951, ATI Field at Joliet Memorial Stadium is a 10,000 seat multi-use stadium located within the Inwood Complex at 3000 W. Jefferson St. 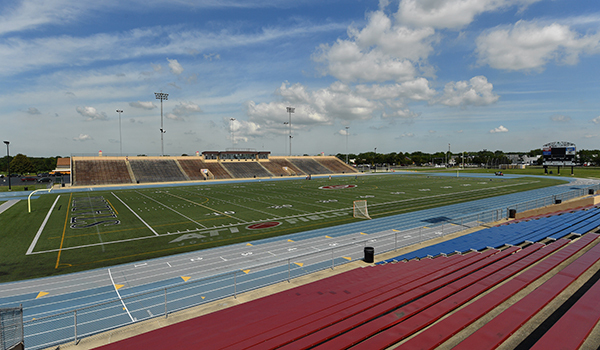 The Stadium is home to University of Saint Francis athletics, Joliet Catholic Academy high school football, and a number of youth football programs. Additionally, the Stadium hosts special events throughout the year, including Joliet's annual fireworks display on July 4, and the Taste of Joliet. It is located at 3000 W Jefferson St, Joliet, IL 60435. For facility rental information please contact Blaine Kline 815-741-7275 x 106 or bkline@jolietpark.org. All groups must obtain a permit for facility use. Use of facility is restricted to permitted groups only.